Kosovo declared itself independent on 17 February 2008 and, since that time, has been recognised as such by several-dozen countries, including Poland. Kosovo’s economy has shown steady progress in transitioning to a market-based system, but it is still dependent on financial and technical aid from the international community and the Kosovan diaspora. Transfers from the Kosovan diaspora, the majority of which live in Germany, Switzerland and Scandinavia, are estimated to account for approximately 13-15% of GDP. The euro is the official currency in Kosovo, though the Serbian dinar is also used alongside it in Serbian enclaves. The adoption of the euro has helped to keep inflation low. Kosovo is among the most open economies in the region and the country works closely with the international community in an effort to improve conditions for conducting business operations and attracting foreign investments. PMR Consulting offers a full range of advisory services for the Kosovan market. We provide mergers & acquisitions (M&A) and due diligence advisory services, that cover a broad range of transaction types. We assist with buy-side transactions (acquisitions), sell-side transactions (disposals), mergers and other fund-raising exercises. We carry out market and industry analysis, including identification of key market players and their market shares, competition studies, forecasting market size and specification of the distribution network structure. 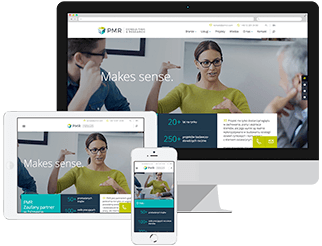 Market studies conducted by PMR Consulting draw on information from a variety of sources, including: primary research, PMR's proprietary, rich databases and analyses, as well as generally available and official sources. PMR clients planning to invest in the Balkan region often require information and insight for multiple markets at one time. In these cases, PMR draws upon its experience of implementing international consulting projects and conducting studies in multiple markets simultaneously to provide a comprehensive end-to-end advisory service.